Airwalk will celebrate its 25th anniversary this year and in its honor the brand will release a line of limited edition, throw-back designs from past footwear and skate deck collections. President and CEO of Collective Licensing International Bruce Pettet and VP of Brand Management for Collective Licensing Eric Dreyer recently sat down with TransWorld Business to discuss Airwalk’s transition into a licensing distribution model and what the future holds for the brand as it celebrates 25 years in the action sports industry. Find out what they had to say here. 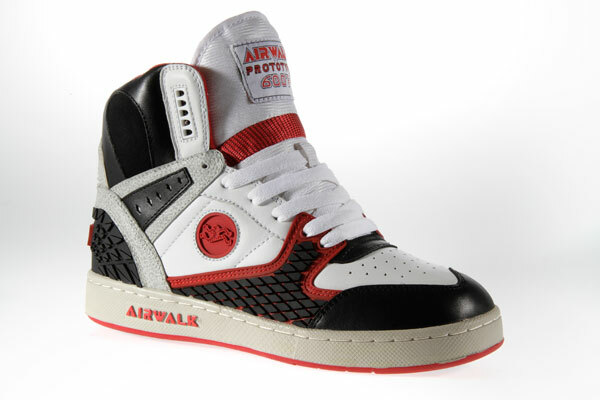 Explain the story behind how Airwalk came to be under Collective Licensing International. Explain your role in the company before and during this process and how/if it has changed since. 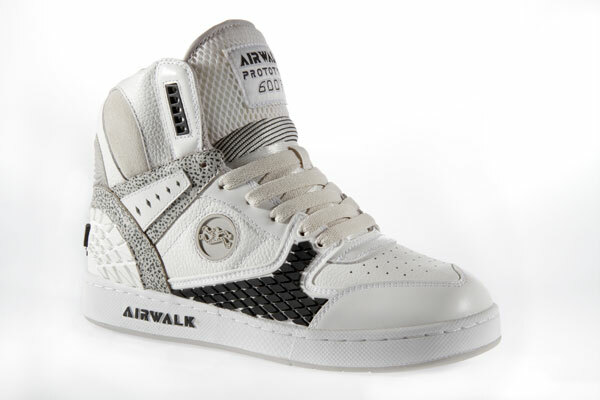 BP: When Collective Licensing International (CLI) was formed in 2004, Airwalk was the first brand the company acquired. 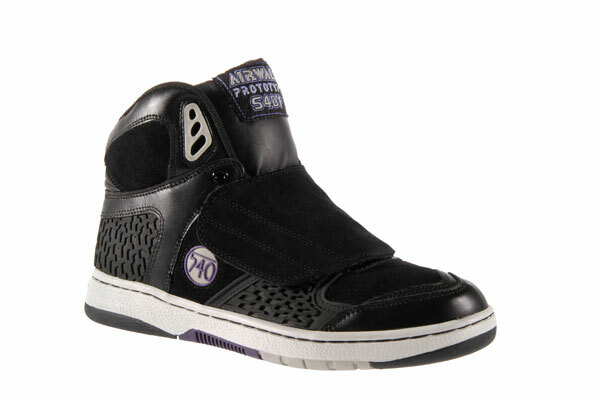 Under this model, we market and license the Airwalk brand globally. Under Collective Licensing, Airwalk has grown to become the largest and most successful it has ever been. We are distributed in more than 100 countries, and the brand remains dedicated to its roots in board sports. Prior to Collective Licensing, I worked for and led the Airwalk brand under its former ownership group, owned by a venture capital firm. How did the distribution model for Airwalk change at that point and how has it changed and evolved since then? BP: Under CLI, we work with strategic licensing partners globally who design, manufacture and distribute Airwalk product. CLI identifies the most appropriate partners for this in each region. We exercise an aggressive approval process centralized in our Colorado headquarter to maintain brand quality control and ensure that the integrity of product and marketing is consistent globally. We assist our licensees every step of the way. We assist them in creating relevant, integrated product with visuals, and developing marketing assets and design tools that are made available through our proprietary B2B site. It’s a true partnership. What were the biggest challenges with sustaining Airwalk’s authenticity in the market when you moved to the licensing model under Collective? ED: The biggest challenge in our business, or any licensing business, has to do with maintaining consistency in your brand touch points. Both product and marketing. Your licensing partners create both product and brand communication tools for their individual markets and if you don’t work closely with them they can sometimes end up creating things that are off brand. So when we made the decision to get into licensing we decided we needed to establish a new way to work with licensees to help manage this. First, we were careful to choose licensees who were committed and capable of building brand-right product. Second, we provide brand direction to our licensees each season. And, finally, we require that all licensees submit all product and marketing to us for approval before it reaches consumers. What is your outlook on big box distribution vs. small, core channels? Will Airwalk’s distribution model change in the future to accommodate one more than the other? BP: Airwalk was one of the first brands in the board sports space to truly expand lifestyle distribution in the 1990’s when the concept was fairly new. In that sense, the brand was pioneering a democratized concept at a time when today’s accessible distribution wasn’t common practice. Since then, we have continued to make the brand more accessible through our broader distribution and creating great product at value oriented price points. At the end of the day, we have never strayed from supporting relevant athletes, building relevant product, and making Airwalk accessible. What do you think the 25 year milestone says about the brand and what can we expect from Airwalk in the near future? ED: I think the biggest thing that the 25th anniversary says about Airwalk is that the brand discovered and maintains a unique and compelling point of view and position within boardsports and youth culture. Without that, I am pretty sure that the brand would not still be here today, let alone be bigger and more relevant than it has ever been. The future will be a lot about continuing to grow the brand by doing what we have always believed in, that is, making an authentic and cool brand like Airwalk accessible to kids who might not otherwise be able to rock a brand like Airwalk. How did the idea for the limited edition re-issue and collaboration pieces come about? ED: We’ve had exceptional consumer demand for some of our heritage styles, so we thought a proper homage to the brand’s 25th milestone was to identify the top defining styles from our history, and make them available throughout 2011. We created a collection that really encapsulates some of the important advances in skate and board sports footwear like the Prototype and Enigma, while offering up some lifestyle silhouettes, like the JIM, that capture retro affection across generations. It’s a great collection. Why did you decide to sell this limited edition product only through Airwalk.com? ED: We launched our e-commerce site in 2010 as a vehicle to provide limited edition and special product globally. Making the limited edition product available on Airwalk.com gives us the opportunity to meet the global demands for the re-issued styles, while keeping the quantity scaled and still special. For several years, we’ve been getting requests from all over the world for some of these styles, so it is exciting to be able to deliver on that demand. We’ve done some really compelling things with our site, but the ecomm initiative definitely enhances the online brand experience. Moving forward, is Collective looking to expand its roster of brands, or does it plan to stick with the brands it has and continue with expansion through licensing deals? What’s the strategy behind this? BP: We will continue to build our current brand portfolio on a global basis while looking to add brands to the portfolio that make sense to our active youth-lifestyle business model. We’ve been very strategic in building our portfolio and have some truly iconic and emerging brands in the mix. What is your overall outlook on the action sports market and what are your predictions for the next six to twelve months? How do you see Airwalk performing in that overall climate? BP: Under the current model, Airwalk continues to grow each year. In fact, the brand is bigger than it has ever been. No doubt it’s a challenging marketplace, but we have a relevant, accessible model that serves as an advantage in challenged markets. We see that growth continuing. Englewood, CO) June 15, 2011 – Airwalk, the iconic and global youth lifestyle brand, is celebrating 25 years this summer. To commemorate this landmark event, Airwalk has planned a season-long celebration filled with signature shoe reissues, events and digital initiatives that will give consumers access to Airwalk’s rich brand history. Founded in 1986 at the request of a skateboarder and named for a trick invented by one of brand’s first pro athletes, Tony Hawk, Airwalk was one of the first board sports brands, inspired by and made for skaters. Airwalk brought a skater’s perspective to the design and development of the shoes, creating innovative solutions that offered comfort, durability and protection features to solve common issues skaters had at the time using regular sneakers. Twenty-five years later as the skateboarding market has grown into a huge and established business, Airwalk maintains a significant share of consumer loyalists with distribution in more than 100 countries across the globe. Over the years, the brand has introduced some of the most cutting edge and identifiable designs in the board sports market. Styles including the Enigma, the Reflex, the One, the Jim, the Prototype 540 and the Outland collection quickly became ubiquitous in the marketplace. 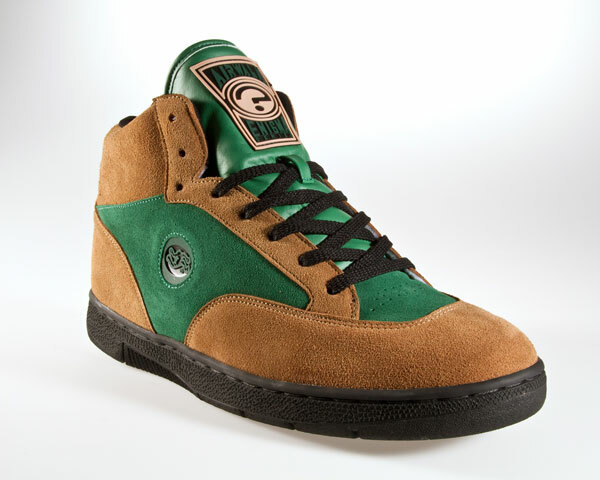 Airwalk pushed the envelope in footwear design, engaging its athletes’ point of view and consistently pushing boundaries in color, texture, technology and brand marketing. The brand took risks, balancing its spirit of irreverence with athlete input and highly functional product at a time when other brands played it safe. Today, it is these risks that have given the brand an unparalleled authenticity and established its place in youth culture history. As Airwalk grew and evolved it expanded its reach into other disciplines outside skateboarding, developing products tailor-made for BMX and snowboarding. 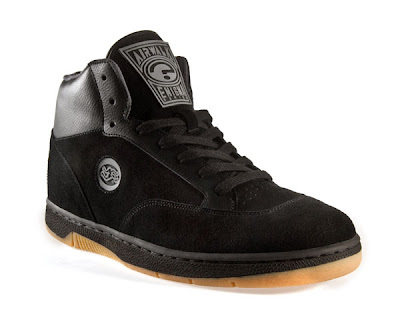 In fact, Airwalk was the first board sports company to introduce a snowboard-specific boot and BMX-specific shoe to the market. Airwalk continued to grow its product offering to include active and casual footwear, apparel, outerwear, hardgoods (including snowboards and bindings) and accessories. And as a result, by the mid-1990s, Airwalk was considered the sixth most influential brand worldwide and the third hottest shoe brand on the market, behind only Nike and Reebok. In addition to product design, some of the biggest names and most influential athletes have been sponsored by Airwalk over the years, including skateboarders Jason Lee, Christian Hosoi, Eric Koston, Bucky Lasek, Andy Macdonald, Steve Berra, Andrew Reynolds, Geoff Rowley and Mike Vallely; snowboarders Jamie Lynn, Tina Basich, Shaun Palmer, Todd Richards, Romain DeMarchi, Shannon Dunn, and Devun Walsh; BMXers Dave Mirra, Matt Hoffman, Van Homan and the Foster brothers; and pro surfers Rob Machado and Tom Curren. From the beginning, Airwalk firmly believed in the value and importance of supporting the board sports community and its athletes. The brand attracted not only the top pros, but recruited the up-and-coming competitors and sponsored countless board sports contests across the world. Traditionally, Airwalk’s advertising has always highlighted its professional team, a crew that today includes big hitters like pro skaters Macdonald, Tulio de Oliveira and Vallely, pro surfers Anastasia Ashley and Warren Metcalfe and FMX rider Ronnie Renner. The brand’s latest campaign is no exception to Airwalk’s athlete-steeped tradition, paying homage to Airwalk’s roots by documenting a journey down the West coast of North America. Shot in locations ranging from British Columbia, down the California coastline and on to Mexico, the campaign highlights Airwalk’s spirit of adventure and music. The new campaign communicates the multiple dimensions of the brand in an integrated and robust way; the authenticity is illustrated in the imagery, showcasing athletes in a visual, multi-image story. Vintage-looking film grains will be used to add texture to each shot and further demonstrate the nostalgia of the brand’s anniversary message. All new ads will feature Airwalk’s 25th anniversary tagline “25 years of Independent Expression” along with a newly designed 25th anniversary logo. 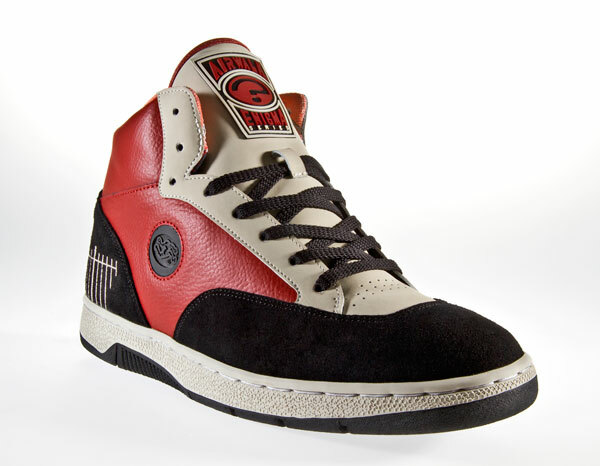 Beyond footwear and action sports, Airwalk has made significant contributions to the music industry. The brand has been tied to some of the most recognizable talent of the past quarter century, including the Beastie Boys, Bad Religion and NOFX. Airwalk has also focused support on the up-and-comers in the industry by creating the Unsigned Hero (USH) contest. For the past three years, Airwalk’s Unsigned Hero has staged an online viral competition between 10 unsigned bands where music fans determine the winner. Past winners The Monthlies (2008) and Audible Mainframe (2009) have performed at Austin’s famed SXSW music festival. In addition, for the second year in a row, Airwalk is the presenting sponsor for one of the biggest youth music tours in the country, the Fall 2011 AP Tour. To celebrate the year’s milestone, Airwalk is reintroducing a staple of special products throughout the year, all available exclusively at www.Airwalk.com/shop. Look for limited edition re-issues of the Airwalk Enigma, the Reflex and the JIM including design collaborations with Vallely. Additionally, a special issue 25th anniversary skate deck will be released in July. The brand will also host a 25th anniversary themed giveaway contest on its social media channels later this summer and it has built a significant collection of seminal photographs, advertisements and athlete imagery from its history, all accessible via www.Airwalk.com. The celebration will culminate with a silver anniversary party in September in the brand’s birthplace, Southern California. Or consider the rise and fall of the Airwalk sneaker, a campaign that took the cult footwear of California skateboarders and briefly made it into a national brand by studying and promoting to the tastes of youthful trendsetters. Airwalk executives believe their mistake was letting mass marketers have the same models they were selling to specialty stores, alienating the cool. But how long can any company sustain coolness? Even Nike throws dozens of new products into the market each season to see what will stick. Most new styles fail before anybody knows why. And youthful fashion--in brands as well as in styles--can change too fast to make research results useful. About Collective Brands, Inc.Collective Brands, Inc. (NYSE: PSS) is a leader in bringing compelling lifestyle, fashion and performance brands for footwear and related accessories to consumers worldwide. The company operates three strategic units covering a powerful brand portfolio, as well as multiple price points and selling channels including retail, wholesale, ecommerce and licensing. Collective Brands, Inc. includes Payless ShoeSource, focused on democratizing fashion and design in footwear and accessories through its nearly 4,500-store retail chain, with its brands Airwalk®, Dexter®, Champion® and designer collections Lela Rose for Payless, Christian Siriano for Payless and Isabel Toledo for Payless, among others; Collective Brands Performance + Lifestyle Group, focused on lifestyle and performance branded footwear sold primarily through wholesale and retail, with brands including Stride Rite®, Keds®, Sperry Top-Sider®, and Saucony®; and Collective Licensing International, the brand development, management and global licensing unit, with such youth lifestyle brands as Airwalk®, Vision Street Wear®, Sims®, Lamar® and LTD®. Information about, and links for shopping on, each of the Collective Brand’s units can be found at www.collectivebrands.com. Orange Skateboarding Cup is approaching.